Dr. William Stuart Morton-Smith passed away in the comfort of his home on January 23rd, 2016 at the age of 67. It was the end of a long battle with a degenerative neurological disease that eventually claimed his life. Bill was born on March 16th, 1948 in New York, New York. He was raised in the city with his sister Adrienne by his parents James and Katrina. Bill attended The Buckley School, St. Mark’s preparatory school, the University of North Carolina Chapel Hill, and completed his medical degree at the University of Southern California. While on medical rotation in London, Bill was set up on a blind date with his future wife, Rhodabel. After a long distance relationship Rho and Bill were wed in Gargrave, Rho’s hometown in Yorkshire, England. After the completion of Bill’s residency at Huntington Memorial Hospital in Pasadena they moved to Santa Barbara where Bill would live for the next 35 years of his life. Bill and Rho had three children: Timothy, Nicholas and Emma. 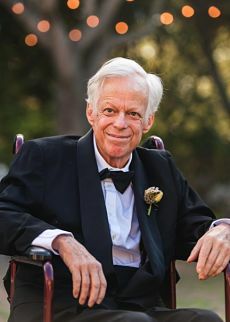 Bill’s devotion as a father was most evident in his love and care for Nicholas who suffered from severe disabilities yet was able to live at home and enjoy a life full of fun and adventure. “Dr. Bill,” as most knew him, ran a private medical practice for twenty years. As Santa Barbara’s medical community would tell you, Bill was a truly exceptional physician who cared for his patients with the utmost excellence and deepest compassion. Bill closed his practice in 2001 to take care of his wife, Rho, who had been diagnosed with cancer. After her passing Bill never returned to medicine instead shifting his focus towards volunteer and humanitarian work. He worked as Direct Relief International’s Chief Medical Officer, took care of the local homeless, and traveled around the globe to help the world’s most vulnerable populations. In his last few months Bill was able to celebrate the engagement of his daughter, Emma, and to meet his first grandchild, Maelyn Day. Bill created an incredible life for his family in Santa Barbara and both Timothy and Emma look forward to carrying on that legacy. Bill is predeceased by his wife, Rho, and son, Nicholas, and is survived by his son, Timothy, and daughter Emma. Dr. William Morton-Smith’s memorial service will be held at All Saints By the Sea on Saturday, January 30th, at 11am. Donations can be made to the Cornerstone House of Santa Barbara, a home for disabled adults that Bill helped to found. Their yearly summer camp was the best three weeks of his son Nicholas’s year. Please mail your check to Cornerstone House of Santa Barbara, 1451 Camino Trillado, Carpinteria, CA 93013. Donations can also be made to Direct Relief International. See ways to give on their website or mail a check to 27 S. La Patera Lane, Santa Barbara, CA 93117, USA. Please make checks payable to Direct Relief.